The Mt. Ashland SNOW BUS bus is scheduled to run when the most people visit Mt. Ashland. This season, we hope you’ll TAKE THE BUS and ride in style to and from the ski area. With numerous trips to and from each day, this is the best way to get to Mt. Ashland. It’s FREE, so first come, first served. The SNOW BUS has two stops: Ashland Hills Hotel & Suites and Mt. Ashland. 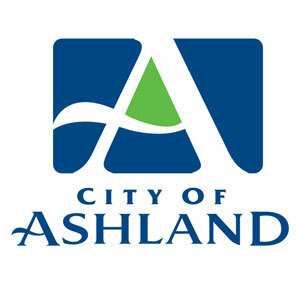 Having only one stop in Ashland makes it possible for us to offer regular, convenient service to and from the ski area. As the Mt. Ashland Ski Road is the biggest hurdle to overcome in terms of transportation, having regular trips back and forth to Ashland Hills Hotel & Suites, with ample parking and convenient access to I-5, is the best place to meet riders in the Valley. Park at the hotel and hop on the SNOW BUS on the sidewalk in front of the hotel. If you have a few minutes, Luna Cafe (in the hotel) offers all kinds of tasty treats for your lunchbox. Hop aboard and the next you know, you’re at Mt. Ashland. It’s that easy! We are overjoyed that our new SNOW BUS service is so popular! We feel so great that we’ve found a service that so many appreciate and want to use. Unfortunately, our funding was cut drastically this year. We absolutely feel that offering an effective public transportation service is essential and should be free for all passengers. But it’s also very expensive. Please donate to support the service today. SNOW BUS service may need to be cancelled due to inclement weather. While we will make our best efforts to adhere to the schedule shown above, there is no guarantee of service.